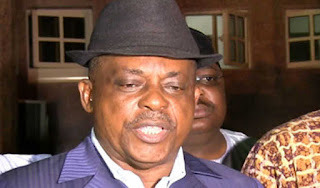 The Chairman of the Peoples Democratic Party, National Working Committee, Prince Uche Secondus has advised Nigerians on the easiest way to see off the current administration. Secondus called on Nigerians to use the occasion of this year’s Christmas to offer special prayers for an end to the government of the President Muhammadu Buhari-led All Progressive Congress, APC government. The newly elected PDP chairman said this in a Christmas message to Nigerians where he added that the hardship Nigerians were going through in the last 30 months showed clearly that it was a mistake voting them in. He said, “The fact that Nigerians cannot see fuel to travel home to see their loved ones during this Christmas even after fuel prize jumped from N87 per liter under PDP administration to N145 under APC shows clearly that they have nothing to offer. “This Yuletide time is therefore ripe for Nigerians to bury their political, ethnic and religious differences and go on their knees to ask God to save this country from the hands of the APC misrule and clear lack of direction.